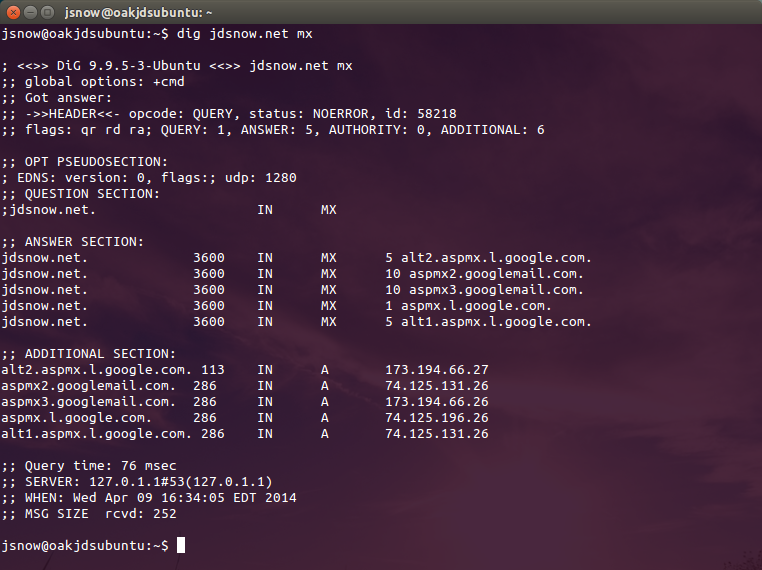 At the prompt, type ‘jdsnow.net’ to tell nslookup to return MX records for the jdsnow.net domain. Head over to www.isc.org/downloads. Once there, expand the “BIND” section toward the bottom of the page. Download whatever version is stable (9.9.5 at the time of this writing). I recommend downloading the .zip format rather than tar.gz, unless you know what you’re doing. Once downloaded, extract the zipfile – we’ll need to get just a few of the files in there. Run the ‘vcredist_x86.exe’ file – this will install Microsoft’s C++ package, allowing dig.exe to run. Finally, if you chose to put the DLL files and dig.exe in a location besides C:\Windows\system32, set your PATH variable. Right-click ‘My Computer’ (or just Computer if you’re in Windows 7), and click Properties. Click ‘Advanced system settings’, then click the Environment Variables button at the bottom. Under System variables, scroll down the list until you find the PATH variable. Select it, then click the Edit button. You’ll see quite a bit of text in the “Variable value” text box – go all the way to the end, and add “;C:\Tools”, or whatever folder you chose to put the files. (The leading semicolon (;) is important!). Now you should be ‘dig’ging in Windows! To get a full list of options for the command, type ‘dig -h’ and enjoy reading. 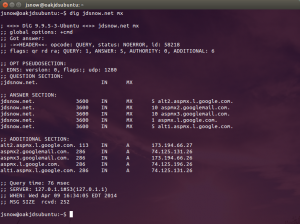 See how much better this is than nslookup?